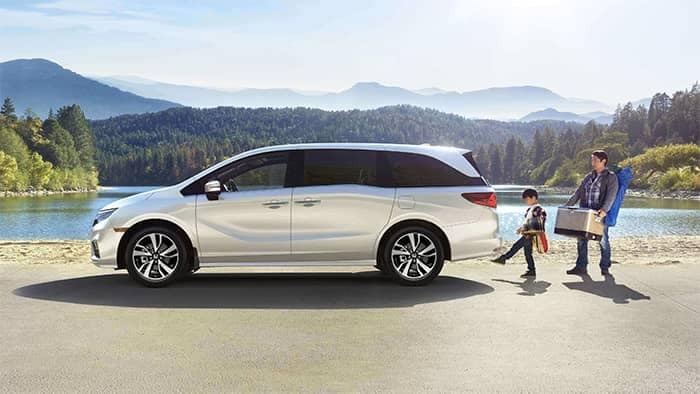 The 2019 Honda Odyssey provides the Sturgeon Falls performance you’re looking for in a new Honda minivan. While spacious, high-tech, and stylish as is, the best part of a new vehicle is choosing the colour you want. Choose from eight different options at Palladino Honda and drive home in the one you like best. Each trim level offers each of these colour options, with the exception of the LX trim, which only offers the first four. No matter whether you want metallics, pearls, or neutrals, you can find a colour that suits you. Decide on the Honda Odyssey exterior and interior colours that best suits you, then make your way to Palladino Honda for a test drive. In the meantime compare the Odyssey to the Pilot, or if you have any questions don’t hesitate to contact us.